All About STEM works on lots of exciting STEM projects. As the managers of the regional STEM Ambassador Hub, we’re responsible for the STEM Ambassador Programme in the Merseyside, Cheshire and Warrington areas. STEM Ambassadors are volunteers from a wide-range of STEM backgrounds including academia, business and industry, who give their time to inspire the STEM experts of the future. They are a free-of-charge resource for schools. In addition, we pride ourselves on providing a wide-range of information and support to schools about events, resources, funding and more through our Schools STEM Advisory Network & the STEM Clubs programme. If you’re a STEM Ambassador, you’re hoping to become a STEM Ambassador or are a teacher looking for more information, you can now follow us @MCSTEMHub on Twitter here. 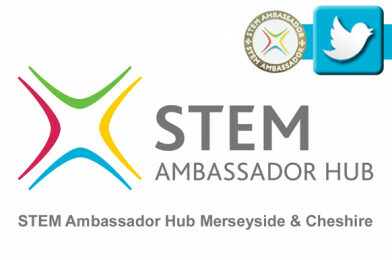 Click here to find out more about the STEM Ambassador Programme, STEM Learning & the STEM Ambassador Hub Merseyside & Cheshire.